I can't ignore something that says "Holiday Treasure Shop"! So off we went down the hallway, even though we had no idea what to expect. 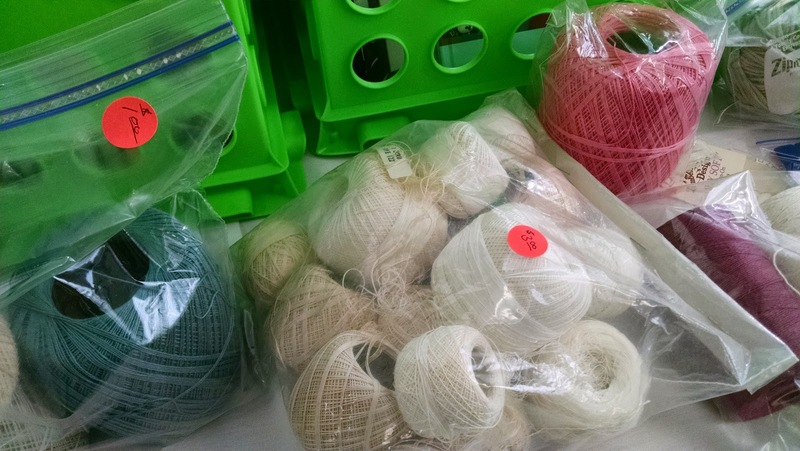 What we found was literally a treasure trove of textile project supplies. 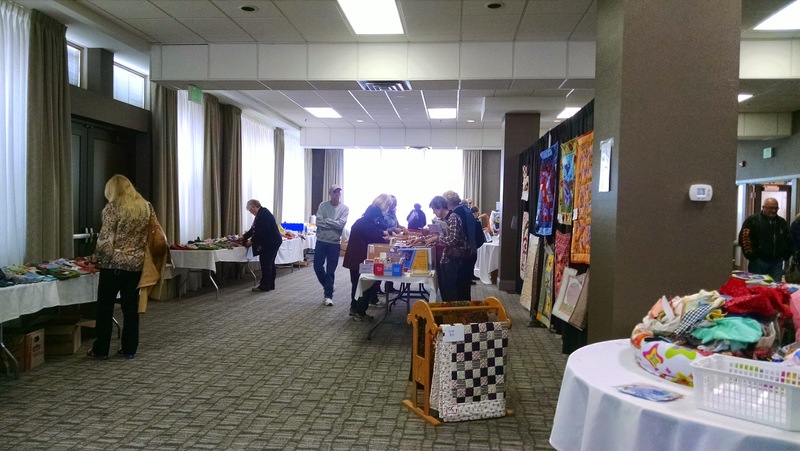 It was like a huge yard sale for craft people (most quilters or other sewers). 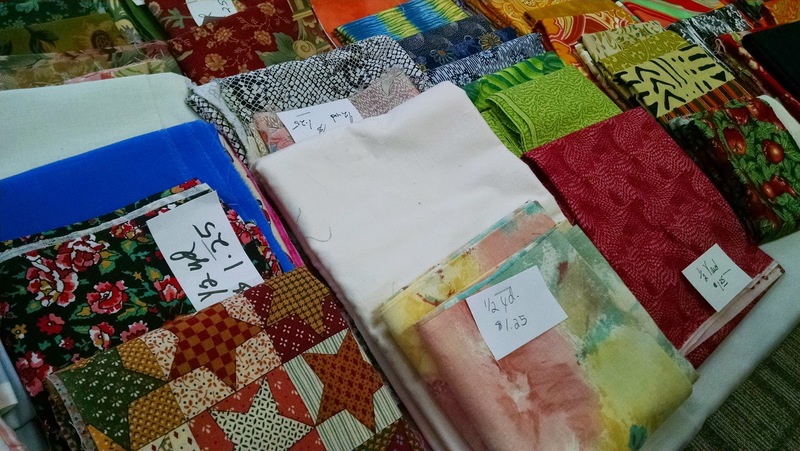 If I had any fabric projects in mind, I probably would have bought a lot of things. 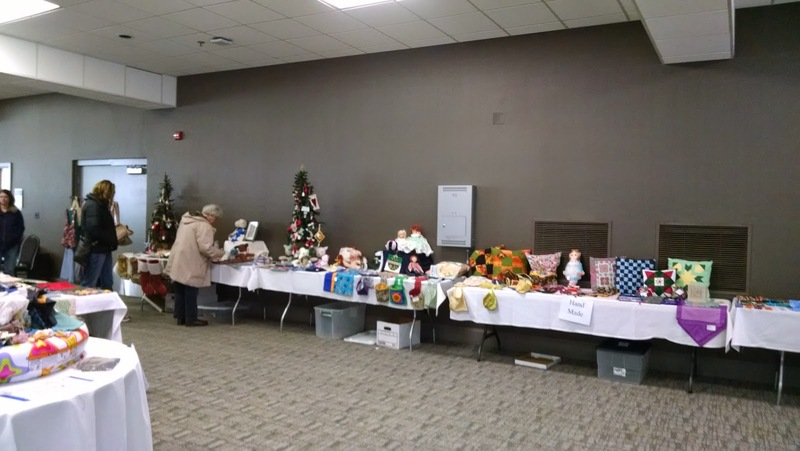 The prices were yard sale prices. 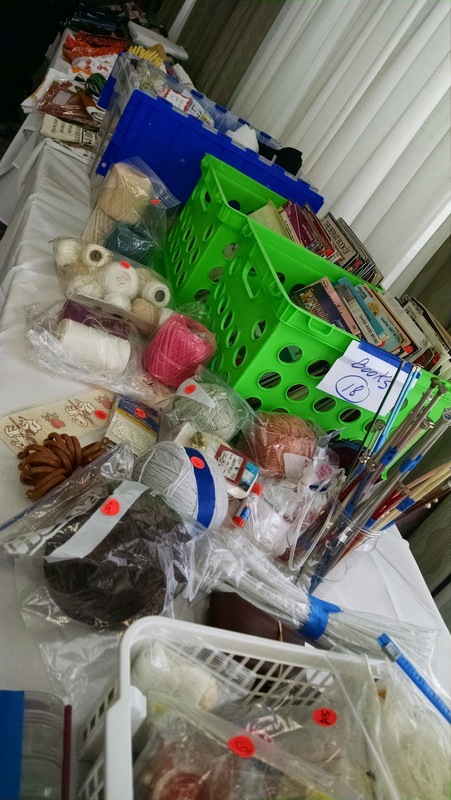 And there were tons of items ranging from quilting squares to yards of fabric to yarn to knitting needles. 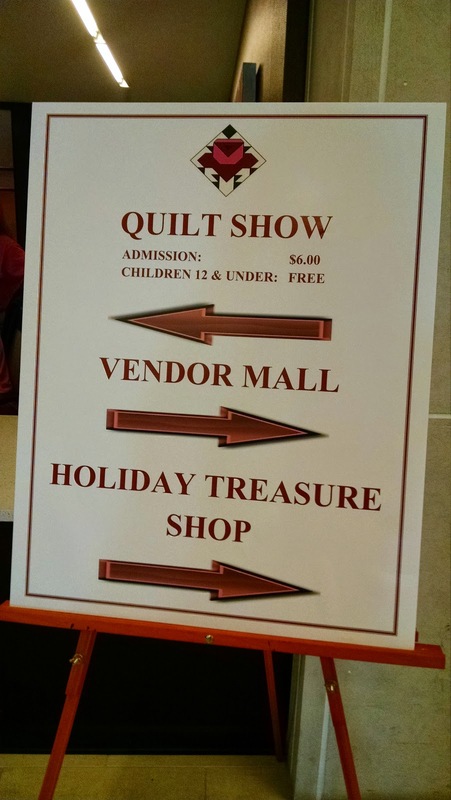 If you are in the market for some crafting supplies, make sure to check out the holiday treasure market next year!